It's Wednesday once again!! 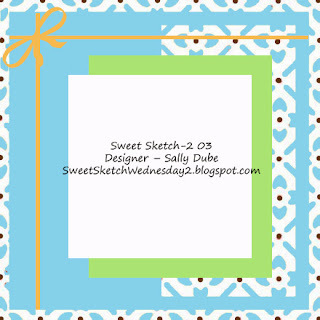 We have Digi Stamp Boutique as our Sponsor over at Sweet Sketch Wednesday 2 for our third Challenge of the year. All images/designs are created and copyright owned by Sally-Ann Hancock. My work means the world to me - it allows my passion to draw and create, to fit with my family life too, often the inspiration for my designs. Hope you enjoy my images as much as I enjoy creating them. This week's Winner will receive a £10 voucher to be used at Digi Stamp Boutique!! I do hope you will head on over to Sweet Sketch Wednesday 2 and check our the rest of the Design Team creations - so awesome!! How sweet is that image?!! I love how you attached the gingham to give your twine an extra bit of POP! Really cute! That is one adorable card Sally!! Love your image, so darling. And the added bling to her hair bows and magic wand, how perfect. Oh Sally! This little ballerina is too precious! I love your little buttons, the gingham accent and just the entire soft feel of this card! Wonderful job! Thanks for letting me create with you this week! It feels so good to be back in my craft room! Hi Sally, Happy New Year I have looked at all of your wonderful cards this year from my i-Phone whilst I've been travelling and loved everyone of them. This card is really cute just perfect and such a precious image and I just adore your colour combo and your design papers are so pretty. Great card as always. Wishing you a wonderful week we are having a crap summer here in NZ not at all hot, it's raining today I should have stayed in Australia no way really far to hot over there. Sally, your card is so stinkin cute!! I love the pastels and she is adorable. Have a great week. What a cute little dancer. What perfect papers. Could this be any sweeter?!? What a precious little stamp! Your papers are very cute and girly. A perfect card for any little up and coming ballerina! Adorable! Sweet Sketch Wednesday 2 with a Twist!! Fresh Brewed Designs welcomes New DT!! All Aboard the Love Train!! A "New" Adventure begins... SSW 2! !